Angelo's gets my vote for having been around longer. Big John's, in contrast, doesn't have that long of a track record. Late Seventies, as I recall. Strictly on taste it's hard to compare the two because each offered different fare. Sorry, I hit send to soon. Angelos gets my vote... for the food (of course) and ambiance (yes I really liked it). Not sure that Big John's was open all night either... that's key. Angelo's all the way. Even though I have the option to get Big John's rather often, I don't go for it. It's pricier than other sandwich shops and doesn't wow me. The allure of Angelo's is another story; I take all of my out-of-towner friends there. Big John's! His brother, Diamond Jim, has a place up in Sierra Village that I love. Gotta Have me some Big Johns !!! I have to admit growing up on the west side near Chevrolet / Ballenger I didnt really have a craving for Angelo's like most of you. 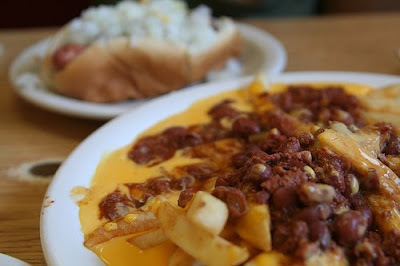 If I needede a coney fix, I went to Atlas on Corunna Rd. Big John's opened in 1972. Angelo's is the winner...but it's just not the same as it was years ago. 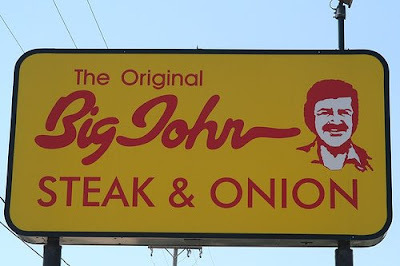 In my lifetime, I have never been to Big John's. 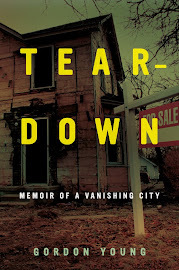 (And I also spent my formative years near Chev & Belanger). So, while I can't assess the quality of their sandwiches, I say NO to BJ and YES to Angelo's, where I have spent many a fond mealtime. I lived Ballenger/Corunna, off Dort and Court, and North Chevrolet, and going to big johns would'nt be on my agenda. Angelo's over b.j. 's any day. And Genessee Coney Island over Atlas...oh, what da ya mean, Genessee ain't there any more?! a pseudo-shlock and roll dead-'50's chromium/linoleum wanna be a fernbar when they grow up joint?! and we worry about the Big 3?? Absolutely Angelo's. I'm another Ballenger/Chevrolet/Welch kid and we traveled across town for coneys. When I was about 4, I dreamed of working there one day. Some dreams are better left unfulfilled...but Angelo's still feels like home. I went there after school at St. Mary's a lot when in grade school and then walked the long walk back to Oklahoma Street. My husband is planning another trip to Flint in January and I'm starting to get my crave on for some coneys!!! Big Johns for me. Never cared for coney dogs myself. Sometimes the rattiest looking places have great food.... like the little Mexican place across the street from AC Sparkplug.... but I didn't think so about Angelos the few times I ate there. Still, I used to think it funny that the Big Johns I most often used was a former gas station on Corunna Rd. (After wolfing down a steak & cheese, you could say it was still a gas station. SMH at these politically correct comments hahaha BIG JOHN ALL DAY!!! But Big John.. Im in Detroit now and I find myself craving big john ALLL THE TIME (*pause* for what could be misconstrued as a homosexual comment out of context LOL)!! Angelo's all the way! There is no better way to clog up the old arteries and fall victim to the food coma known as "the itis" than with an oily, orange grease soaked bun holding a scrumptious koegel's dog covered in coney sauce and a heaping side of salty-smothered gravy fries. To any other shmo, this description may sound quite rancid, but to any Flintonian who had the pleasure of getting grease mouthed at Angelo's, they know EXACTLY how sweet it is. Tough choice! Angelo's has the atmosphere and the history. It's the place that (when I was living in town) I would take out of towners. But, when I'm back in town, it's Big Johns with extra peppers that I crave. I could go a visit home without losing sleep over missing an Angelo's meal but gotta make sure I get my steak and onion. Angelo's has 24 years more of grease on the grills. Angelo's wins hands down. The question is if you were going to die from clogged arteries would you rather that last meal to have been at Angelo's or Big John's? I'm another Chevrolet/Ballenger/Welch kid but we made our way over to the Eastside for sure. Nowadays, my Islamic diet prohibits pork but I am sure going to order up an Angelo's coney when I get to heaven. Yeah, it's Angelo's for me, too. But I will say that Big John has a fantastic logo/sign.